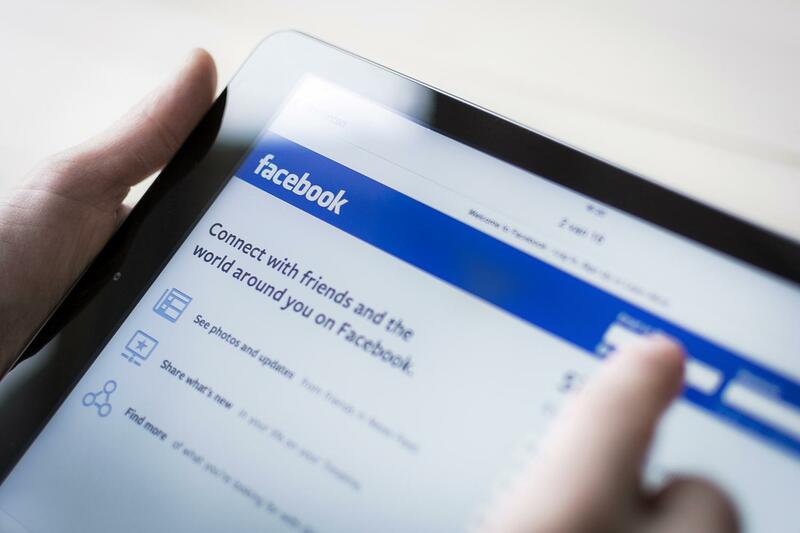 While many of you are reading this post, more than 1.790 million people are using Facebook. This is the equivalent of the entire population of Africa (1.216m) and North America (579m) interacting on this single network; the most used social media in the world. What started as a university experiment has become a forum where people communicate, share, create, buy, and think. How important is this channel? How can this information be interpreted? 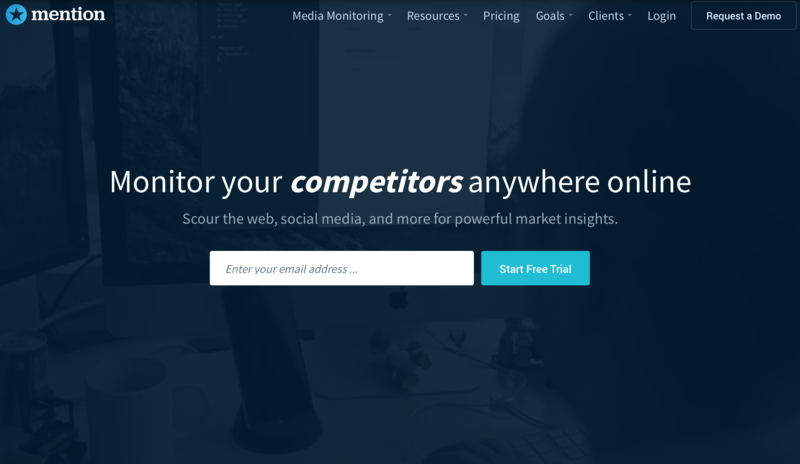 In a compelling and easy manner: never have businesses, regardless of their size and/or reach, been able to narrow down their target audience, current and potential clients, and those who are on their way to becoming clients, all in one place. Facebook is a place where everyone is – or should be – but it’s not enough to just participate, you must know the rules of the game in order to beat the competition. Who? Who do you want to conquer? What? Based on the likes, preferences, and needs of the aforementioned, define the information you are going to share and the messages you are going to launch. How? The format is essential since Facebook has preferences for these types of content and internet users have their own. When? On the internet – and on this social network – articles, news, and entertainment flow constantly, 24 hours a day, 365 days a year. 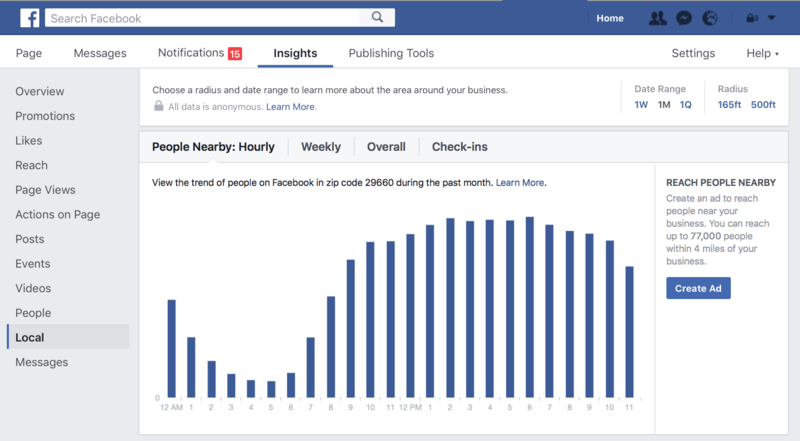 However, close to 2 million active Facebook accounts follow certain conduct patterns when they connect and it´s important to publish posts when your followers are operational. This last detail is not taken into consideration as much as it should be and it´s essential for the effectiveness of your social media efforts. The key is in knowing which hours are prime time. You must ask yourself: When does prime time take place for my brand? Here, we show you the answer. Monday to Friday is better than on the weekends. Eighty-six percent of the posts are published on weekdays, obtaining the highest impact on Thursdays and Fridays. Users participate on an average 3.5% between Monday and Wednesday. Shared Facebook content on Fridays obtain 10% more possibilities to get “likes” or “shares”. The best time slots to post during a workday are first thing in the morning (around 9:00 a.m.), during midday (between 1:00 p.m. and 3:00 p.m.), or during the night (from 8:00 p.m. to 9:00 p.m.). Save yourself the effort on the weekends before 8:00 a.m. and after 8:00 p.m. To send a message during this time is like yelling in the middle of the desert, NO ONE will listen (or read!). Facebook updates have an average lifespan of 3.2 hours. We make a point of this and leave it at the end of this article for a reason, to emphasize how important it is to post during certain times. It is useless to get to know your target audience and plan a social media content strategy if you are going to make the mistake in the “when”. The previous data must be taken as a rule of thumb. Each company is a world unto itself and their target audience is different and has very specific behavior patterns. 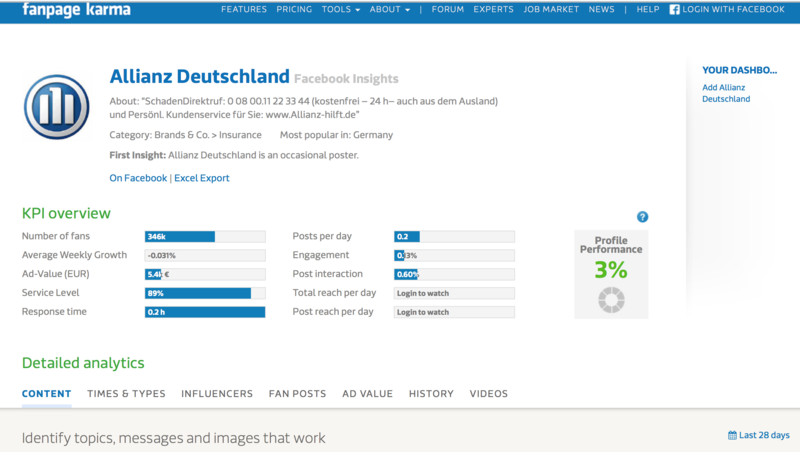 Here we show you how to find the largest number of people with your publications step by step. 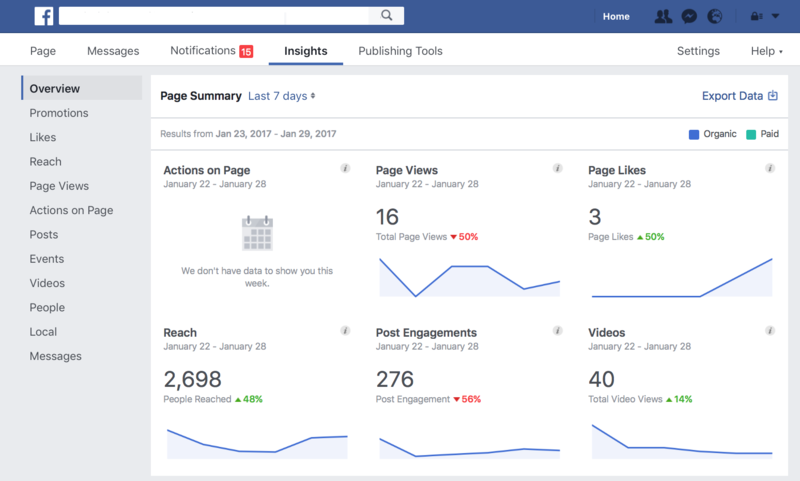 In this first phase, look for indicators related to when a page is updated: the reach, the number of people who have seen a post, interactions (“likes,” shares, or comments). Consult the “Publications” items. Find out when your followers are online, by time slots as well as by days of the week. In the example shown, followers of the brand XXXXX connect primarily on Wednesday, Friday, and Saturday. Interactions begin to increase after 9:00 p.m., reaching the highest number of people online between 9:00 p.m. and 10:00 p.m.
What does this mean? That you must be active on Facebook during that time. This would be the “prime time” for your brand. 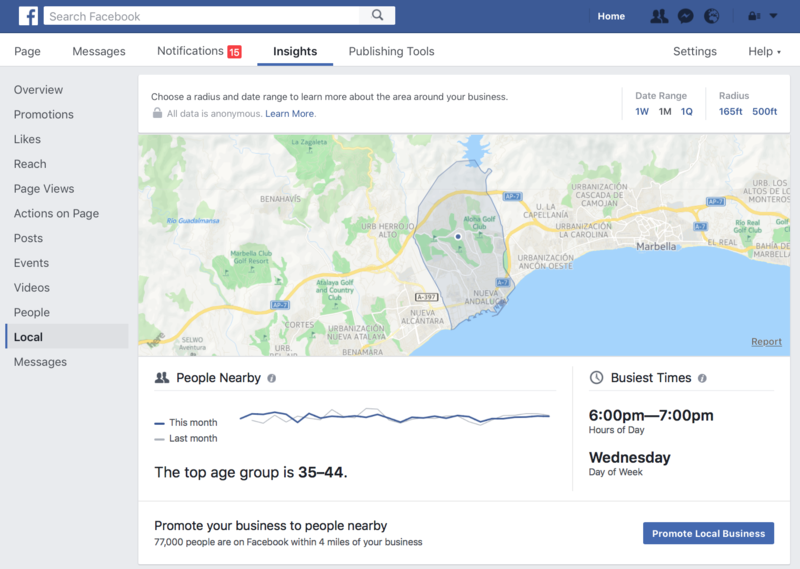 “Local statistics.” Similar businesses are going to find a very important tool in this social network. These are “local statistics” located right under the “People” section. This provides the geographical location function about the company and demographic information of the users that are physically located near you. Information about gender, age, when, and how they access the internet. In this real fan page example, one can observe how followers reach the largest connectivity quota from 2:00 p.m. to 6:00 p.m.
From 9:00 a.m., the number of online fans starts to increase and, in this case, no significant differences are observed regarding the days of the week, although Wednesdays seem to be the best day. The general connection criteria for this social network is outlined and the statistical tools offered by Mark Zuckerberg are used as much as possible. Here is a third way to publish a post on Facebook. We refer to online apps found on the internet that reveal all types of statistics and characteristics for internet users. They are easy to use, have a free trial version and customized payment plans for the needs of each brand. Analyze in detail the education community, the publications available, the engagement obtained, and the posting effectiveness. A free trial can be accessed and they also provide different subscription plans. You can take a look at some reports as examples, such as the image below from Allianz Insurance. 500,000 companies use this resource daily and it is free of charge during a 14-day trial. It offers valuable details regarding the ways to interact with these channels. It also allows you to monitor a community in real time, with complete statistical panels: filters by source, location, related topics, trends, etc.